I've been doing my best to steer clear of NetGalley lately. I haven't been making much time to write reviews, and, with a few month-old galleys gathering dust on my Kindle, I am a wee bit embarrassed to show my face around those parts. 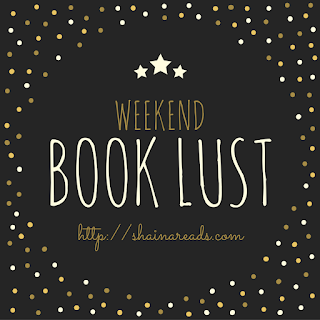 This didn't stop me from doing a bit of weekend window shopping (read: allowing my cursor to hover over the "Request" button while I remind myself how little time I'll have to read for pleasure in just a week's time). 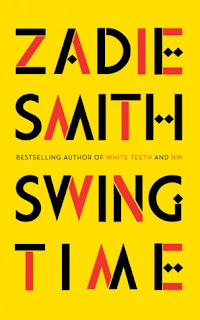 ZADIE SMITH HAS A NEW BOOK COMING OUT. Maybe I should read more of her backlist before getting so excited over the new and shiny, but White Teeth was one of the first books I reviewed on this blog. It will always hold a special place in my heart. Swing Time explores the short-lived friendship between two young brown women vying to be professional dancers. I don't usually go for stories that zero in on female friendship like this, but I've been meaning to branch out. Zadie Smith seems like a good reason to do so. The excerpt I read was so bizarre that I've tried to summarize it for fifteen minutes and have completely failed. 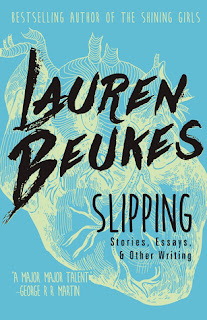 This collection from South African author Lauren Beukes either going to be gimmicky as hell or absolutely amazing. I can't wait to find out which. 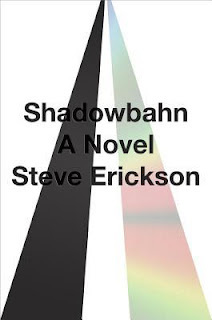 Another one for the bizarre list, Shadowbahn involves the Twin Towers suddenly reappearing, intact, in South Dakota in 2021. Tens of thousands of people make the pilgrimage to view them and claim to hear the towers singing to them, though no one can agree on which song they are singing. Also, someone just might be living up there. The novel follows several stories, including those of a pair of siblings and a stillborn baby(??? ), all united by this inexplicable event. Again, amazing? Gimmicky train wreck? Who knows. We'll find out in February. In 2012, an interdisciplinary team of scientists at the University of Oxford reported that - based on their clinical experiment - the beta-blocker drug, Propranolol, could reduce implicit racial bias among its users. Shortly after the experiment, an article in Time Magazine cited the study, posing the question: Is racism becoming a mental illness? 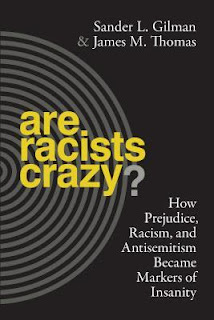 In Are Racists Crazy?, Sander Gilman and James Thomas trace the idea of race and racism as psychopathological categories, from mid-19th century Europe, to contemporary America, up to the aforementioned clinical experiment at the University of Oxford, and ask a slightly different question than that posed by Time: How did racism become a mental illness? Using historical, archival, and content analysis, the authors provide a rich account of how the 19th century Sciences of Man - including anthropology, medicine, and biology - used race as a means of defining psychopathology and how assertions about race and madness became embedded within disciplines that deal with mental health and illness. I am unbelievably intrigued despite my better judgment; I can't resist anything that discusses how to think about prejudice in terms of human cognition as well as (hopefully) better interventions to reduce implicit bias. I expect to be blown away, either by invaluable insight or intense rage. I find the latter option more probable, but a girl can dream. Three of these four books sound like they will be utterly bananas. 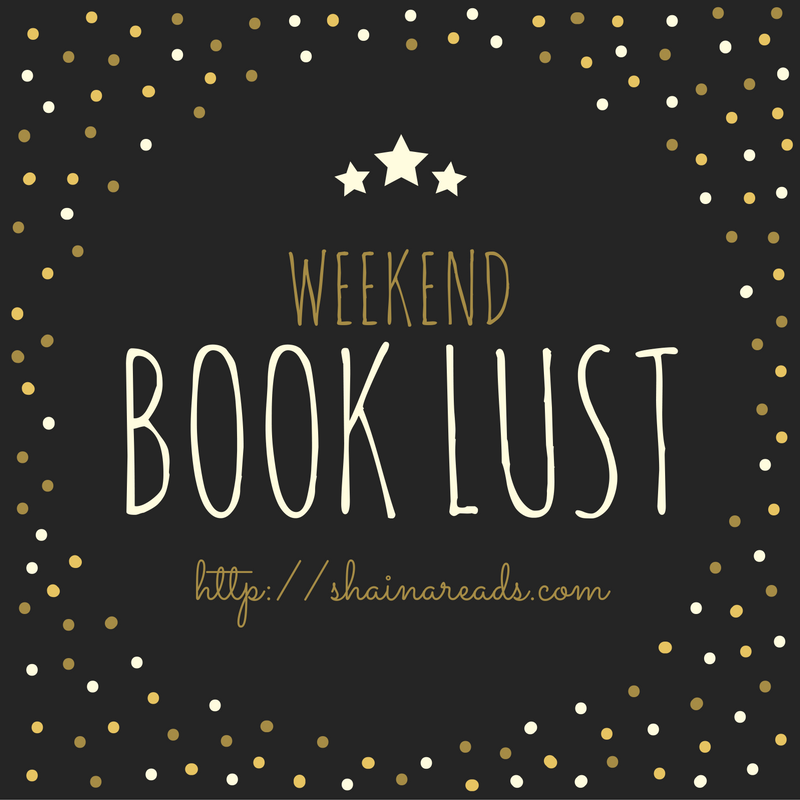 Do you have any wacky books on your lust list? Tell me about them!